Pre workout supplements can be helpful addition to your training, by boosting your energy levels. If you have more energy, you will be able to train more and push yourself harder in the gym. If you can train more intense, you will get better result, whether you're trying to improve your performance, build muscle or burn fat. That being said, preworkouts will give you a little bit extra push. They won't do the job for you, nor you will become the Hulk or Usain Bolt because of them. WARNING: If you haven't overcame heart disease or you are suffering from some other serious condition, then you shouldn't take pre workout supplements, especially stimulants. Citruline is a type of amino acid, extracted from watermelons. It's found in preworkout supplements, in a form of citruline malate. According to studies, it helps release nitric oxide (NO) which causes blood vessels to relax thereby increasing blood flow to the working muscles. Agmatine Sulfate is advertised as preworkout which can improve nutrient partitioning and blood flow, by increasing nitric oxide. On top of that, scientists claim that it may lower BP, stimulate secretion of peptide hormones, improve insulin sensitivity and kidney function, by stimulating glomerular filtration rate. Although it sounds too good to be true, more and more positive feedback is coming back. It is one of the ingredients in my preworkout stack, so I can't really tell how effective it really is, when taken alone. Beta Alanine is another amino acid which can be found in pre workout supplements. It can reduce fatigue, improve recovery and increase total workload, by increasing the concentrations of carnosine in the muscles. However, it's most effective for high intensity workouts such as sprints and weight lifting. Tingling sensations are to be expected, when taking beta alanine. Betaine Anhydrous or trimethylglycine is natural ingredient found in plants. Research suggests that betaine may improve performance and reduce fatigue, while working out. It may lower high homocysteine levels in the blood, prevent formation of fatty liver deposits and improve brain function, by supporting healthy cell reproduction. Although it is helpful ingredient, it is not one of the most effective. Creatine is well studied supplement which is know to improve strength, by increasing ATP in the muscles. However, it doesn't have immediate effect unlike some other ingredients. Its benefits, regarding performance enhancement, are seen only after prolonged use. No cycling or loading phase is necessary. Caffeine is one of the most researched pre workout supplements. Although it is highly effective stimulant, it can be dangerous, if taken in high doses. This especially applies for people with some kind of heart condition or other serious ailments. BCAAs aren't really one of essential ingredients in preworkouts. They won't do much for your immediate performance. However, if you are working out on empty stomach and trying to lose weight, then taking BCAAs before workout, can help you keep more muscle, while dieting. This especially applies for leucine. Yohimbine is a mild stimulant which can block certain adrenoceptors and increase sensitivity to catecholamines such as cortisol and adrenaline. This makes it work really well, when combined with caffeine. Instead of buying pre workout supplements, you can just buy one bottle of caffeine and yohimbine pills. They are cheap and effective, while these two bottles will last for 4-12 months, depending how often you take them. Neurostimulants or cognitive enhancers are very similar to stimulants such as caffeine. However, they act on different parts of the brain as well as on different receptors in the body. Yohimbine is one of the best I tried because of which I singled it out. Besides yohimbine, there are others such as picamilon, alpha-yohimbine, PEA boosters, synephrine, tyramine, hordenine, naringenin and octopamine. Although they come in very small doses, these ingredients can make or brake preworkout supplements. As I mentioned in the text above, combining caffeine pills with yohimbine is the cheapest, yet highly effective way to boost your energy levels, before workout. However, you can also drink a big cup of black coffee to get that extra push. Pre workout supplements aren't necessary. LEVEL 2: WANT SOMETHING STRONGER? 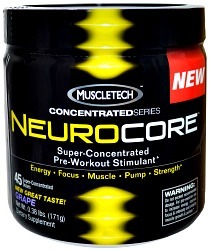 If you want more potent preworkout supplement, Neurocore made by Muscletech is a good product. Besides caffeine and yohimbine, it also contains citruline, creatine, beta alanine, alpha yohimbine and few other less important ingredients. However, it cost about 10 $ more then caffeine-yohimbine stack and you get less servings. Over time, as training became integral part of my life, I went from trying caffeine and yohimbine pills to using strong pre workout supplements, while trying to improve my physical performance and heart function. This preworkout stack is what I am currently using. 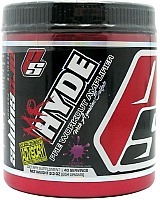 I am combining one scoop of Craze with one scoop of Mr.Hyde. I decided to order these two and try both of them. Although, both of them have high ratings, I didn't see anyone trying to combine this two. It seems that I am the only one crazy enough to try this. I must say the results are pretty darn good. I got bigger, faster and stronger, while even my endurance improved a bit. The rush of energy is just insane which should be expected, considering you get at least 400 miligrams of caffeine and all those neurostimulants from each of them. Also, Craze and Mr.Hyde contain other ingredients such as Citruline, Agmatine Sulfate, Beta Alanine, Leucine, Creatine and Betaine Anhydrous which help, too. Since combining these two very potent pre workout supplements can be dangerous, even for healthy individuals, I take them only twice per week. Once before cardio and once before weight training. By doing so, I also save a lot of money since these two are not cheap, especially when ordering online. Also, you can't find them on iherb which is one of the reasons behind high price, especially when it comes to shipping and handling. Whichever preworkout you choose, take in consideration your health, your fitness goals and last but not least, your finances. It wouldn't be the smartest idea to buy Craze and Mr.Hyde or some other pre workout supplements, while struggling to buy the food, pay the bills or the gas for your car. I would also like to touch about Craze and alleged accusations that there are amphetamines in it. 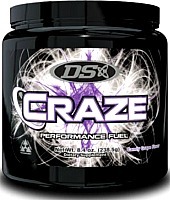 To my knowledge, all law suits are dropped and in the eyes of the FDA, Craze does not contain amphetamines. If anyone knows more about this topic, please let me know via the contact form, at the bottom of the page.